Rick and I are honored to present among some of the most respected imaging healthcare professionals who are looking to advance biomedical equipment maintenance technology and programs to achieve better patient outcomes. I feel the radiology equipment industry faces a year of disruption and change. With that as the background, our presentation will aim to help HTMA members embrace the disruption and show how we can position ourselves to win in the connected machines economy. If you are unable to catch the talk in person, then read on for the top 5 key takeaways from the session. We need to start thinking about the radiology infrastructure differently. One area that will take prominence this year is the shift from planned downtime to planned preventive maintenance. So, how do we measure if this is the right approach? And what’s the impact on patients? We will see a sharp reduction in an equipment’s Mean Time Between Failures (MTBF), resulting in fewer machine down times and reduced patient revisits. Let’s examine machine data closely. To give you an idea of the data velocity, just one MRI machine generates over 50K events and 2.5K warnings per day. Now, consider the reams of data pushed out from other modalities. It’s a gold mine, ripe to build Machine Learning models. So, what really is the business case for this exercise? We are now in a position to forecast capacity usage for the infrastructure as a whole instead of for a single machine. What is the organizational impact? Better capital planning budgets. We are now in the driver’s seat to augment human experience with data driven actions. This development is probably the closest to my heart – Sales. If we have the ability to send an advance notice to procure parts, that will make any sales professional’s day instead of waiting for an order to come through manual interventions. That’s Smart Maintenance in action. Prescriptive recommendations based on a machine or part’s lifecycle will help the procurement department to place advance orders or plan for replacements before a failure occurs. 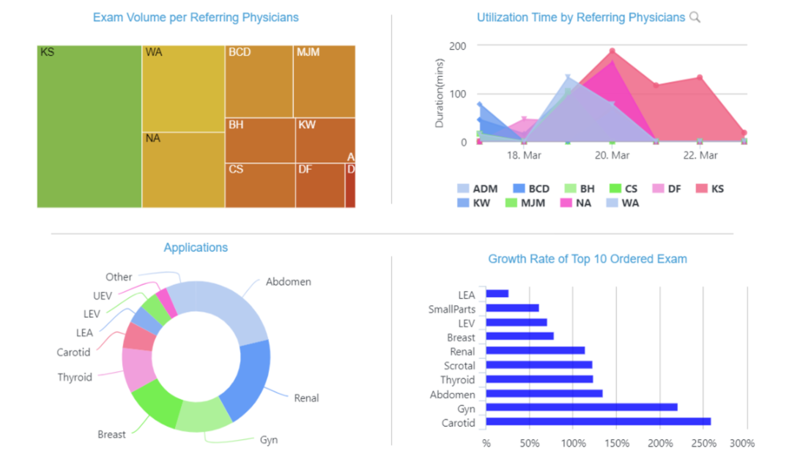 Machine log data from a radiology environment is both diverse and complex. We need tools that understand that complex data and automatically form a set of instructions or recommendations, say, from an existing knowledge base. This forms the new normal to perform data driven trouble shooting and root cause analysis. So, how do we measure if this is effective? We should expect a reduced Mean Time to Resolution (MTTR) per incident. AI is reshaping diagnostic equipment maintenance in many ways, exposing technicians and repair personnel to a wealth of opportunities to proactively diagnose issues. Deriving insights using classification algorithms and NLP techniques, support professionals can now act upon a pre-flight checklist assembled even before the engineer goes on site, even before the problem occurs. What is the impact? Reduced First Time Fix Ratio (FTFR). You can realize all those amazing insights from your medical equipment today. Learn how by clicking on the button below.